Left to Write: Awesomesauce Authors: An Interview with Dan Koboldt! Awesomesauce Authors: An Interview with Dan Koboldt! BECAUSE MY AMAZING, ILLUSTRIOUS, BRILLIANT, FANTASTIC ALPHA CP IS HAVING HIS VERY FIRST BOOK BIRTHDAY!!!!!!!!!!!!!!!!!!!!!!!!!!!!!!!!!!!!!!!!!!!!!!!!!!!!! Here's a little more about Dan and his brand spanking new book baby! I've been writing just over eight years, starting with short fiction and soon moving into novels. By the time I started writing The Rogue Retrieval in 2012, I had two other novels written. But ROGUE was the first I queried. 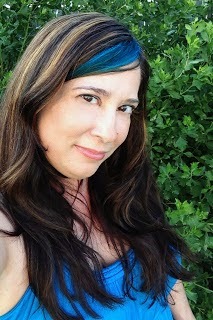 It took me about four months to land a literary agent, the fabulous Jennie Goloboy of Red Sofa Literary agency. Then another fourteen months of revisions and submissions before we got our offer. A Vegas magician uses high-tech illusions of magic to save his bacon in a medieval world where they have the real thing (magic, not bacon). My book is a so-called portal fantasy, in which events unfold both on Earth and in a secondary fantasy world. I've been reading epic fantasy for over two decades, but I've also been a working scientist (a genetics researcher) for the last ten years. I challenge you to find another author with that background! Oddly enough, I think it's the challenge. 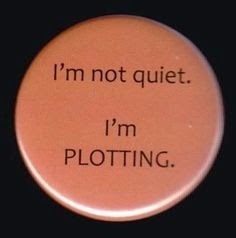 Writing fiction is not an inborn skill. For most of us, it takes years of practice to reach the point where we can write publication-quality prose. At the same time, there's no barrier to entry. Anyone can become a bestselling author. That's easy: rejection. I don't like having my work rejected, and I don't like seeing it happen to friends. I understand on an intellectual that any industry with such a huge supply-to-demand ratio will have high rejection rates, but I hate the side effects: the form rejections, the long wait times, the countless good books that don't find a home. I love the hero, Quinn Bradley. He's an up-and-coming stage magician – a career I sometimes wish that I'd tried to pursue – and he's got the wits and charm to make it happen. I won't say that he's based on me. He's more like the person I wish that I could be. After Quinn, my favorite is Veena Chaudri, the Alissian cultural expert who joins the retrieval team. I think it's because when I wrote the first draft of the book, she was a man. An editor who'd shown interest in the book wanted to see more well-rounded female characters, so Dr. Eric Templeton became Dr. Veena Chaudri. I spent a lot of time developing her persona and backstory in my head, and I think she's a complex character as a result. What has surprised you most about publishing post-agent? I think it would surprise many just how much time gets sucked up by marketing and promotion activities. Unless you're Stephen King, most of the effort in that arena will come from you. Being published by a big 5 imprint certainly helps open some doors, but a new author coming in still has to bring a lot of energy to the campaigns. The deep thrum of a turkey gobble, in the woods at sunrise. The sound of a mosquito near my ear. I used to daydream about becoming a professional fisherman. I love to fish, and I'm pretty good at it. I'm not a fan of getting up super early in the morning, though. That's probably the only thing holding me back. I love it when interviewers think to ask, 'how can our readers buy your book?' The answer is that you can buy it on Amazon, Apple iBooks, Barnes & Noble, or directly from HarperCollins. On March 1st, you can buy the print version at your local bookstore. If they don't stock it, they'll be happy to order it for you. 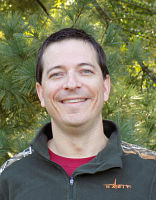 Dan Koboldt is a genetics researcher who’s co-authored more than 60 publications in Nature, Science, The New England Journal of Medicine, and other journals. Every fall, he disappears into Missouri’s dense hardwood forests to pursue whitetail deer with bow and arrow. He lives with his wife and three children in St. Louis, where the deer take their revenge by eating all of the plants in his backyard. 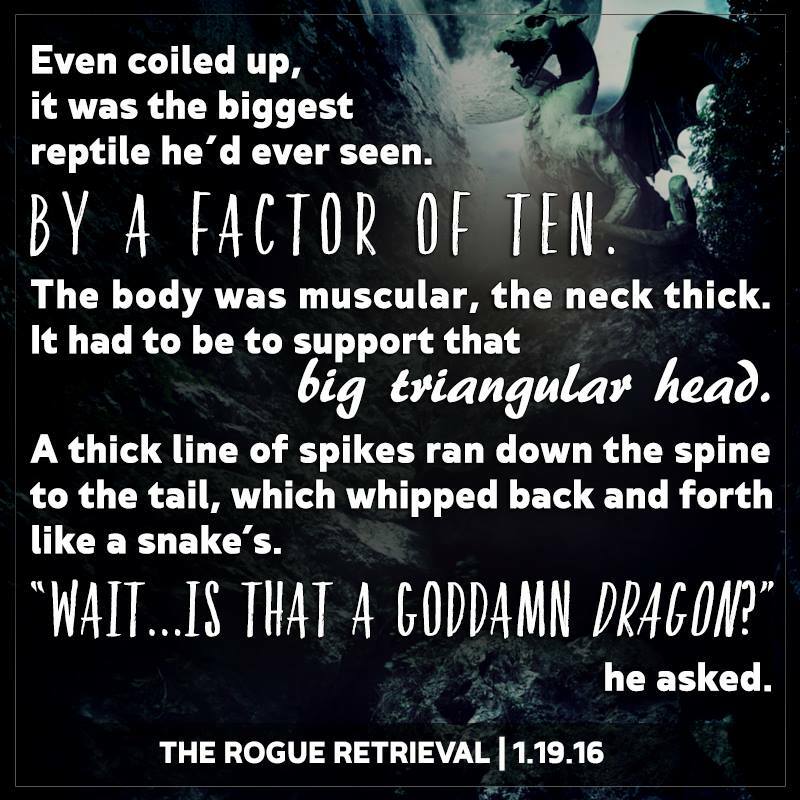 To celebrate Dan's debut, I'm giving away an e-book copy of THE ROGUE RETRIEVAL to a randomly selected commenter using random.org. (Open internationally!) Share your congrats and kudos below for a chance to win! 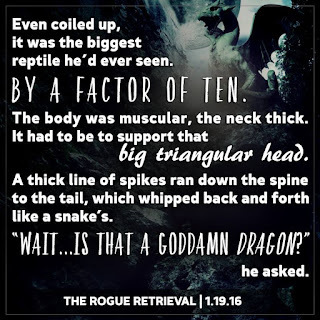 Congrats on the release of THE ROGUE RETRIEVAL, Dan. It sounds awesome! Whoop whoop for the portal fantasies!! 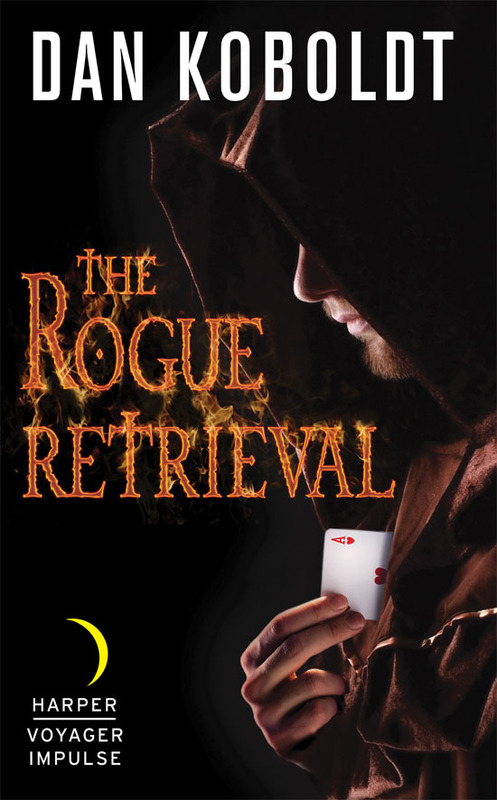 I love Vegas, magic and portals so I can't wait to dive into THE ROGUE RETRIEVAL. Congrats Dan! Well done on making it through the book publishing process. 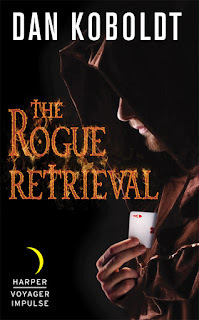 The Rogue Retrieval sounds terrific, and I've added it to my list. I love Pratchett and Brooks and genetics, so maybe we've got a good thing going? All the best, Dan! Looking forward to your book.